Built in China, sold in the U.S.: It's a first for GM and any U.S. automaker. GM said it will sell the Chinese-built Buick Envision, a crossover SUV, in the U.S. market starting next year. The UAW attacked the plan, saying it was "a slap in the face." It said GM should reconsider its plans and instead build a version for the U.S. market at a U.S. plant. "The men and women of GM and the American taxpayers who invested so much in GM's future deserve better," said the union. GM agreed in its latest labor deal to invest $8.3 billion in its U.S. plants over the next four years to create or retain an estimated 3,300 jobs. It increased U.S. employment by 14,000, or 18%, between the end of 2009 and the end of last year. GM already has big operations in China, and sells more cars there than in the United States. Since 2011 it has exported about 157,000 cars from its U.S. plants to China. 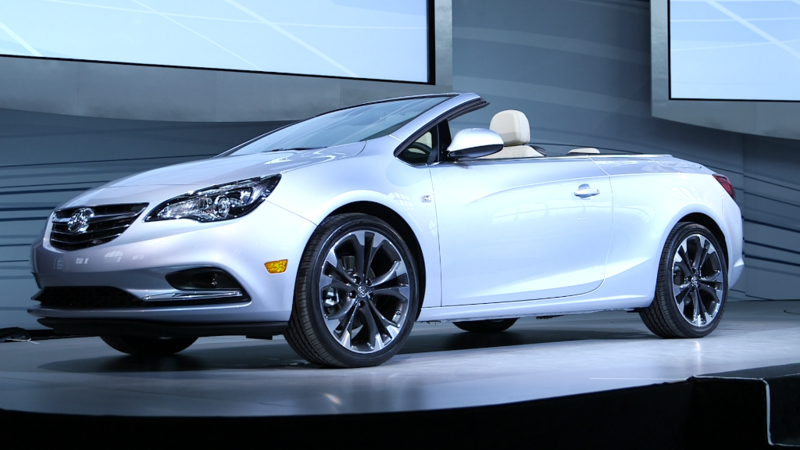 Buick has been a very successful brand in China. Automakers prefer to build cars close to where they're sold. Even Asian automakers such at Toyota (TM) and Honda (HMC) build most of the cars they sell in the United States at their U.S. plants. But critics of U.S.-China trade policy are concerned that China, with lower labor costs, could steal share in the U.S.
GM says the Envision was designed in Michigan. It says it will fit well into the Buick lineup between two other crossover offerings, the Encore and the Enclave. Auto research firm IHS forecasts estimates that GM will be selling about 38,000 Envisions in the U.S. by 2017, compared to about 126,000 it is now selling annually in China. IHS analyst Stephanie Brinley does not expect a flood of Chinese car exports to the U.S.
"It's not going to be viewed by buyers as a Chinese vehicle," she said. "Most people don't even know where the cars come from. I don't think this means U.S. consumers will be more inclined to accept a Chinese automaker." The only other Chinese built car sold here is the Volvo S60 Inscription, which went on sale at U.S. dealers in September. Volvo was originally a Swedish automaker now owned by Chinese automaker Geely. It just announced plans for its first U.S. plant earlier this year.